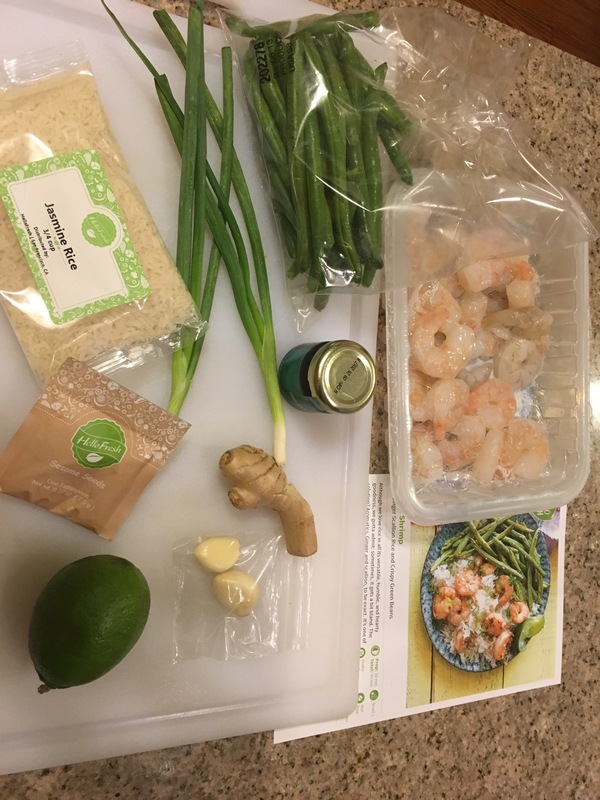 HelloFresh sent me a coupon, so I ordered 3 more of their delicious meals. 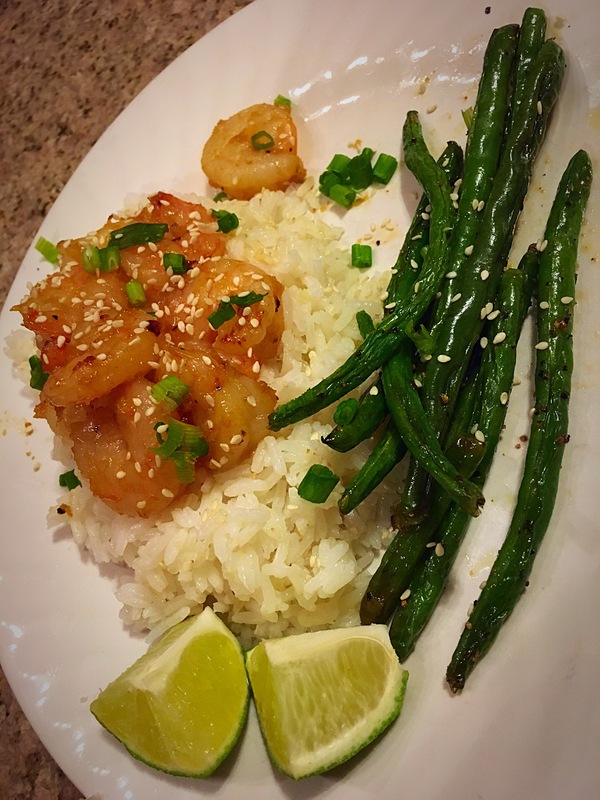 Tonight’s meal was Seasame Shrimp with Ginger Scallion Rice and Crispy Greens. When I opened the box, I thought oh yuck, I don’t like fresh green beans. But I followed the recipe, tossed them in olive oil on a baking sheet with salt and pepper and roasted them for 15 minutes in the oven. They were so crispy and yummy. It truly is all about how you prepare food.